Welcome to Northeast Zone Softball. 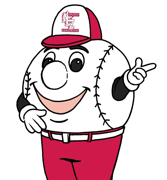 Together with the Community Leagues in northeast Edmonton and the Edmonton Warriors we offer minor softball programs for children from 4 to 19 years old. Players of all skill levels are welcome to register and play in our softball program. The Nerf category plays once a week and is an introduction to the game for 4 year olds. U-6 (T-Ball) and U-8 (Coach-Pitch) play twice a week and are geared for skill development. 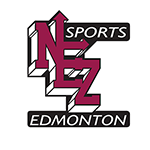 These three groups are mixed teams with boys and girls on the same team and they practice and play within northeast Edmonton. The U-10 (Mite) Category is where the players begin pitching and teams are split – boys and girls generally play on different teams. U-10 (Mites) to U-18/19 (Midget) teams play in city-wide leagues governed by Edmonton Youth Softball Association. In northeast Edmonton the Warriors offer a more competitive program for players in the U-12, U-14, U-16 and U-18/19 categories. Softball is a fun and exciting game. Come join the fun!